A leading Biotech company since 2009 committed to provide professionally high quality and comprehensive proteomic and genomic industry solution to our global customers. Ontores offers innovative solutions for antibodies, building blocks, oligonucleotides and peptides. Ontores carries a broad spectrum of bio-reagents that will meet everyone’s need in their multi-disciplinary research. 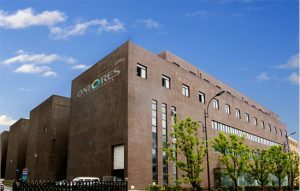 Ontores also provides cutting edge custom services including antibody production, contract research services and peptide synthesis.